Giving Beautiful Fresh Flowers Will Fill Her Day with Sunshine and Love. 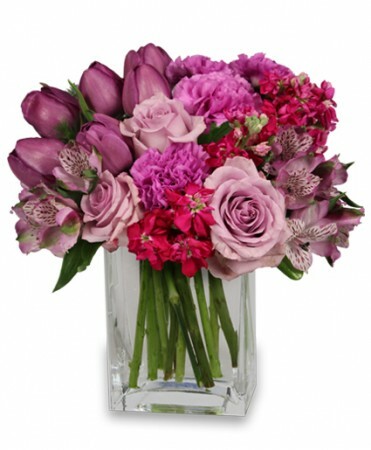 To Send a Floral Arrangement in the New York, NY area, Call FLOWERS BY RICHARD NYC Direct or Order Flowers Now from our Website. 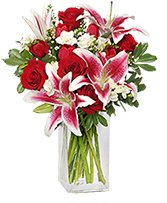 Along with rich red roses, this SWEETLY-SCENTED bouquet features Stargazer lilies and white freesia. 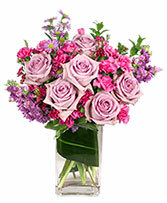 Send these flowers to celebrate opening night or as a romantic gift. 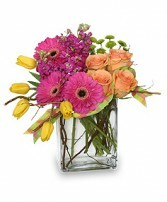 Order these flowers online now!